Copyright �2011 PopEntertainment.com. All rights reserved. Posted: December 1, 2011. What do you get when you take four friends from Minnesota, fly them to Los Angeles and try to make them pop stars? The answer would be Big Time Rush (a.k.a. BTR) - a Nickelodeon hit TV show, lots of laughs, hit records, concert tours and so much more. With a well-received hour long sneak peak that aired in November 2009, the official debut of BTR broke records in January 2010 when it was watched by nearly seven million viewers, making it Nickelodeon's most successful live action premiere ever. Inspired by the 1960's hit comedy The Monkees, creator Scott Fellows led an extensive search for four very specific castmates. After two exhausting years, and many, many auditions, he chose his dream cast - which consists of James Maslow as James Diamond, Carlos Pena as Carlos Garcia, Logan Henderson as Logan Miller and Kendall Schmidt as Kendall Knight. Judging from the show�s popularity and sold-out concert tours, all of that hard work is already paying off. 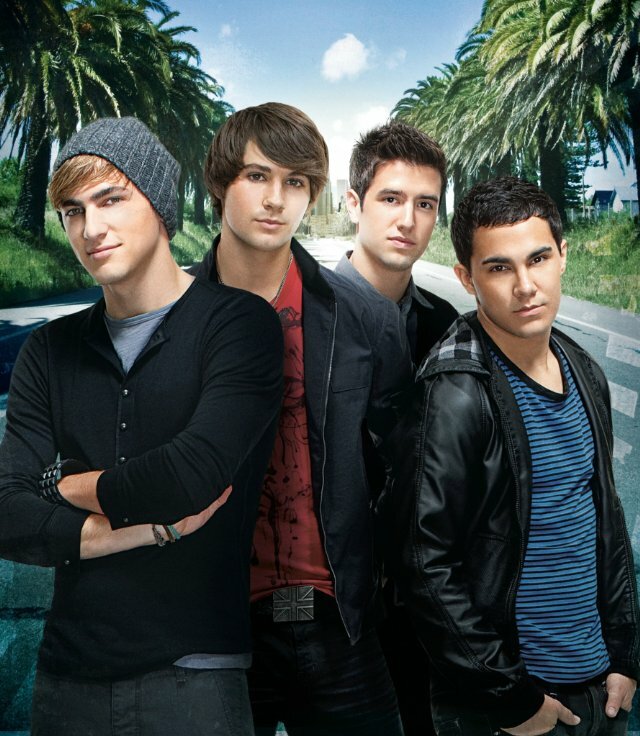 Currently in its second season, BTR has been signed for a third season due to start production in early 2012. Like the Monkees before them, every episode of Big Time Rush is jam packed with music, jokes and comedic adventures. Fans tune in each week to see what kind of trouble the foursome will get into - and better yet, out of - during their rise to stardom. Filmed in Hollywood, the series� plots often revolve around their fictitious record label Rocque Records and The Palm Woods where they live. Beyond the four leads, other recurring main characters that fans love include Gustavo Rocque (Steven Kramer Glickman) a zany record producer, his assistant Kelly Wainwright (Tanya Chisholm) and Katie Knight (Ciara Bravo), Kendall's sister. With brilliant marketing behind the show, many episodes end with music clips or full videos of the boys. This all seems to add to the excitement for fans who definitely appreciate the guys� musical talents. After releasing their first album titled BTR in October 2010, the group just released their second album Elevate to rave fan reviews. The first single "Music Sounds Better With U" is already climbing the charts. As an opening act for a sold-out concert tour this past summer, BTR performed for hundreds of thousands of screaming fans. After recently announcing their first headlining tour to promote Elevate, most major markets sold out within minutes � quite an accomplishment for four guys who didn't even know each other three years ago. Nominated for several Kids� Choice and Nickelodeon Awards this year, BTR is doing something right in the eyes of their very loyal fan base. And while the show might never be thought of as �art� by some critics, BTR - the show, the group and the business commodity - continue to show no sign of slowing down any time soon. Recently when we had a few minutes to talk to group member James Maslow, we got right down to some of the questions our readers really wanted answered about the hottest boy band to hit the charts and the TV in years. Before the start of Big Time Rush in 2009, did you consider yourself more of an actor or a singer? It's hard to say. I grew up singing. Initially I was in choirs and I always had more of a poppy voice. That's what got me into theatre, which got me in to acting. So, at that time, I was transitioning into film and TV and really focusing on that, but music was always a big part of me and my background. If you asked me now which I liked better I'd have to say I'm really lucky because I can do both, so I don't have to choose. When the group was formed, how did you land the part of James Diamond? I was in the first audition of a two-year process. So, it was just like any other show except multiplied by many more additions. They shot a pilot a year in and then recast. They had so many people and got Kendall. Logan was in the first round. Carlos in the third round. It was a long process and it was pretty tedious. After all that, you'd imagine someone would have hopes for a great amount of success. I definitely expected something, but this has really blown my expectations away. It has really exceeded everyone's hopes. Wow! Two years is pretty intense! Yes, they definitely wanted to find everybody who could have a legitimate music career and could be legitimate actors, and maybe dance a little bit - although I must say (laughs) that was the least of the requirement. Beyond that, Scott Fellows - the creator of the show - also really wanted genuinely nice kids and good people. I can vouch for all of the guys that they have come from good families and are normal people and are great guys. That's why we still get along after four years of doing this. I was going to mention that in my next question - you all seem to get along great. Do you have as much fun off screen as you do on screen? I think the quality of fun is definitely different. I'm 21 off screen and on screen (laughs) you know, we're not. But yeah, we have a ton of fun together. Most of the time we are in a different city. Like today we are in New York and I'm from here and happen to have some friends, but the majority of the time it's just us four and our crew and that's who we end up hanging out with. I'm lucky these guys actually are my friends. I read that Scott Fellows said his inspiration for the show was the 60's hit the Monkees. You are all obviously way to young to have watched the Monkees, but did you go back and watch some episodes to see what they were all about? I'm definitely not too young to YouTube The Monkees! (laughs) But of course, when we first started out, his whole concept was like The Monkees meet Entourage. Entourage is one of my favorite shows, so that kind of sold me. The Monkees was a show that my Dad really liked so that sold him, so the whole family was on board. We've even paid homage to the Monkees in some scenes, like in one episode we did a ten second bit where we pushed Carlos in a bathtub and we're wearing hard hats and pajamas. I know that is straight from The Monkees. Are there any similarities between James Maslow and James Diamond? I guess the biggest similarity is that we are both really driven, however that's separated by an even bigger difference. James Diamond is driven by fame and wanting to be this huge pop star and get all this attention and have a lot of money - which I guess isn't really a bad thing in this industry, but honestly I love what I do. I love performing. I love acting and I believe if I work hard now and really pay my dues in the next several years, that I'll be able to do that for my entire life. To me that's a much bigger payoff then the big finances or fame that come with it. Any cool story lines you would like to see with your character do? Well James Diamond has always been flirtatious with girls but never really had a girlfriend, so I think it might be fun to have a character come in as a recurring fling. Something more in depth with him. He definitely has a heart, but generally is portrayed as pretty shallow, because he's thinking about himself, which is funny and the majority of where the comedy comes from. But I think it might be nice to get a little deeper than that. The show is now in the second season and signed for a third and it's gaining popularity all the time. Are you surprised by the way it has really caught the attention of kids and teens of all ages? The show has always been a pretty good hue in for little kids because it's kind of like a cartoon turned live action - a lot of gags, a lot of funny bits. Then I think what is really catching the eye of teens and people towards my age is the music. The show is very entertaining and I am proud of it. 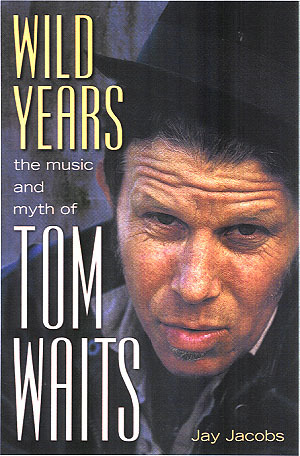 I can watch it and laugh myself, but what I enjoy most at my age is the musical aspect. Especially with this new album Elevate that just came out yesterday, it's much more radio friendly, a much more mature sound because we wrote the majority of it so it's really coming from us this time. However, I don't think any one song will alienate one of the younger fans either. They can still groove along with it, they're still catchy. So, yeah, between the show and the music, we can really please a lot of demographics. As you mentioned, the new album Elevate came out yesterday. Do you have any favorite songs on it? It changes daily at this point. (laughs) There's this song called "No Idea" and it's a really great song that we did with Tricky Stewart and The Dream then Kuk Harrell produced it. We found out that All Time Low actually helped write it and they did a version of it as well, which we had no idea when we cut it. But they have such an awesome version too. It's very cool that now we are presenting our own. It almost ended up being a cover but you know what, the two songs - their version and our version - are so different that I think people should get both and listen to both. Honestly, it's one of the best songs we've ever sung. I've got to give Harrell credit on it because everyone sounds amazing on it. Obviously, the show is about a bunch of guys wanting to be music stars. How does it feel to actually get the new album out there? It's a huge thrill, but seeing that I had so much more of a hand in creating this album - from the name to a lot of the songs on it, to the album artwork - it's nerve wracking too. The first album we hoped it would do well, but now I'm nervous because I really want to please our fans. I'm reading all the feedback and really excited when somebody comes up to me and says, "Hey, I love the song you wrote" - "Elevate" or whatever it might be. It's exciting! It's also a weight off of my shoulders because it's been a work in progress for the past almost a year. Now I'm in that exciting moment to see how it does. I'll be seeing you at the Jingle Ball in Philly in a few weeks. With the holiday season coming up and a crazy tour schedule, will you guys be able to take some time and spend the holidays with your families? Also, what's your favorite holiday? Yeah, after we do this Jingle Ball run, we're going to have a couple of weeks where I'm going to go do some snowboarding and see my family and all the guys can see their families. Hanukkah is one of my favorite holidays and I looks forward to spending a few days of that with family. Snowboarding is my favorite sport so I made sure to book a cabin for a week and just actually take some time off and not think about everything, because everyone needs some down time. When you're not performing BTR music, which is mostly pop, what kind of music do you personally like to listen to? It really depends on my mood. When I'm more relaxed, Jack Johnson reminds me of home, I've got a lot of memories of that. In fact, my whole iPod is almost nostalgic because I listen to songs that generally have related to a moment in my life or a time in my life. So when I listen to Gnarls Barkley, it reminds me of three summers ago when a couple of their songs were really popular and they were on the radio and it just kind of takes me home. John Mayer's the same thing. Jason Mraz, even Lifehouse - I saw them perform as a kid and it was one of my first concerts. I have all kinds of music on my iPod because whether I was a fan before I saw them, every band that I have seen live, I have become a fan of. CHECK OUT BIG TIME RUSH'S NEW VIDEO "MUSIC SOUNDS BETTER WITH U"
#1 � 2011. Courtesy of Nickelodeon. All rights reserved. #2 � 2011. Courtesy of Nickelodeon. All rights reserved. #3 � 2011. Courtesy of Nickelodeon. All rights reserved. #4 � 2011. Courtesy of Nickelodeon. All rights reserved. #5 � 2011. Courtesy of Nickelodeon. All rights reserved.